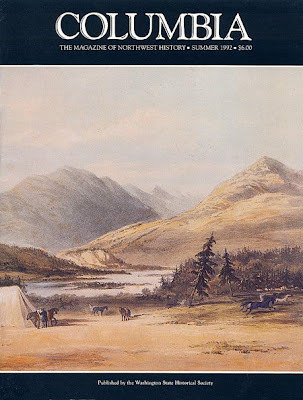 "Pacific Northwest Quarterly is the leading scholarly journal devoted to the history and culture of the northwestern United States, Alaska, and western Canada." And now they have a website. The collection of full text "sample articles" is disappointingly stingy, but the curriculum materials for teachers are quite good, and the annotated resources page is full of Northwest history linky goodness. By far the best web presence for Northwest history publications is that of the Washington Historical Society's Columbia Magazine--which features quite a few articles in full text. And I must say, some of them are superb. But that is another post. Update: Commenters on this post point out that the Oregon Historical Society will be launching a new website this week, and the the PNQ website is not as new as I thought. Thanks you for the information and corrections. 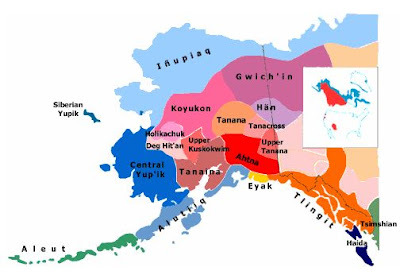 Eyak language dies with its last speaker--or does it? From the Alaska Public Radio Network: Eyak language dies with its last speaker. "The last traditional speaker of the Eyak language died yesterday, making the language extinct. 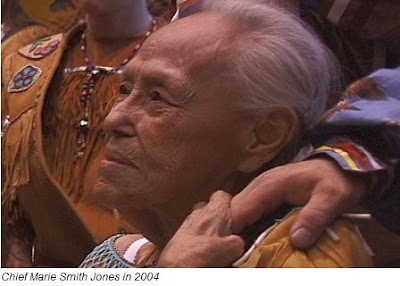 Eyak Chief Marie Smith Jones was 89 years old. She was the last person to have learned the language the traditional way, taught as a child from her parents." (click on the icon at the bottom of the story to listen to the full report). The loss of native languages is of course by no means unique to the northwest. See this list of extinct languages, or even more heartbreaking this list of recently extinct languages with (in many cases) the date of death of the last speaker. But as is often the case with these maudling media stories, there is more here than meets the ear. Marie Smith Jones spent some of her last decades working with linguist Michael Krauss to record and document the Eyak language, and the language is being taught to Eyak youth through The Eyak Language Preservation Project. 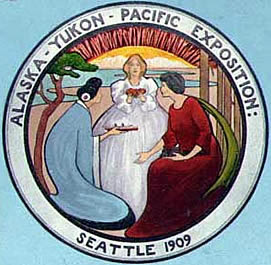 This Seattle Times obituary has additional information about Marie Smith Jones and the Eyak. ...well, the last twelve years of its archives anyway. I have subscribed to the Atlantic forever and often use articles from the magazine in my history classroom. A few treats relevant to the interests of this blog: Saving Salmon, or Seattle? by James Fallows; Flouting the Convention (about whaling with a look at the Makah) by William Aron, William Burke, and Milton Freeman; an interview with Sherman Alexie; The Diffusionists Have Landed (concerning theories of precolumbian migration) by Marc K. Stengel; The Profits of Doom (the mining legacy of Butte) by William Langewiesche; the controversial On the Rez by Ian Frazier, and 1491 by Charles Mann. The last two were later expanded into books. This follows the New York Times opening its entire archive (Back to 1852!) last year. As click ads become a realistic and significant revenue stream watch for more password protected sites to drop the subscription model in favor of open access. 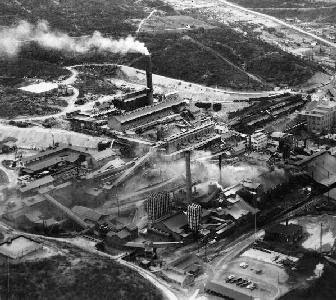 The whole Silver Valley is a fascinating study in mining, the environment, and modern redevelopment in the west. The valley boasts the Cataldo Mission, the oldest building in Idaho, and was part of the route for the Mullan Road, an important early transportation route. The late 19th and early 20th centuries saw the boom and eventually bust of a series of deep silver mines in the valley, which left behind one of the larger Superfund sites in the nation. 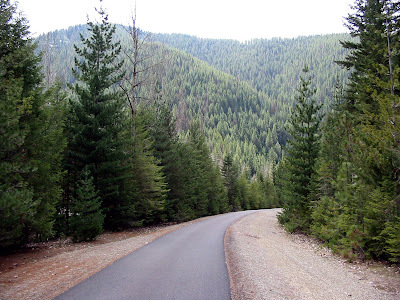 Yet, despite the widespread lead contamination, the area is also one of the most beautiful in the Pacific Northwest, and has fantastic recreational opportunities. One of the neatest examples of this redevelopment is the Trail of the Coeur d'Alenes bicycle path project (photo on right) which encased 72 miles of lead contaminated railway line in an impervious clay cap and put a stunning bicycle path on top of it. Here also is an NPR story about the revival of the Silver Valley, and a an article from Boise State University, "Kellogg Redefined: A Mining Town Reinvents Itself." The American Historical Association Blog features an interesting post today: Digital History at the Annual Meeting. The post by Elisabeth Grant focuses on and summarizes three digital history sessions from the conference, complete with links. I attended two of the three sessions and my only quibble with the summary is when Grant describes Session 31: Tech Tools for Historians as a "poster session-like gathering." It was, but only because some technical problem prevented the panelists from presenting as planned. I think that the digital projector never showed up. In any case they were inspiring sessions and Grant provides an excellent write up. Indian Sentinal: "The Indian Sentinel featured articles about Native Americans across the United States and their evangelization by the Catholic Church. Most were first-hand accounts by lifelong missionaries in the field that were often illustrated with photographs they had taken. Also featured are articles, essays, and letters by Native Americans, many of whom were students in Catholic schools." 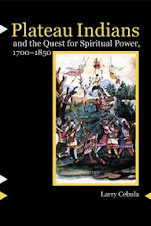 Indian Sentinal is a another great digital collection from Marquette University, which also hosts the Jesuit Relations. The magazine is a treasure trove of primary source information about native peoples from Maryland to California--and of course the Northwest. A search for "Spokane" for example turns up 89 articles from 1906 to 1962. Catholic missionaries worked with many or even most Northwest tribes in the 20th century, so most are represented. 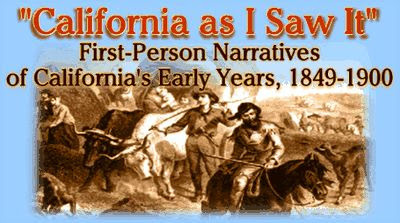 "California as I Saw It:" First-Person Narratives of California's Early Years, 1849-1900 is one of the topical collections from the Library of Congress' American Memory site. Northwest historians know that the early histories of California and the Oregon Country were intimately connected. The wagon trail west from Missouri was the California-Oregon trail until the paths parted ways in Missouri. The California Gold Rush drained off much of the white population of the fledgling Oregon Territory, and when the gold didn't pan out many a failed California miner found his way to Oregon. So it is no surprise that "California as I Saw It" has a substantial amount of Northwest material. A search for "Oregon" under the descriptive information box reveals 11 documents, including The Gold Seekers of '49 by Kimball Webster, a New England forty-niner who ended up a surveyor in Oregon, and Recollections and Opinions of an Old Pioneer by Peter H. Burnett, an important figure in the government of early Oregon. A full text search turns up an even 1oo references to Oregon throughout the collection. I was going to analyze one of those references here--and amazing and perhaps unlikely story about an elderly Klamath man. But the tale deserves a post of its own. I leave in the morning for the 122nd Annual Meeting of the American Historical Association in DC. Being an Americanist I have never attended the AHA before, but I thought it was high time I became less provincial. And there are some terrific sessions on digital and public history. Perhaps I will blog some of the sessions!